Enjoy a Rattlers game with your group of 15 or more and get savings off the regular individual ticket price. In addition to saving on tickets, your group will have block seating, recognition on the video board, access to special fan experiences and a personal account manager. No matter how big your group is, we can tailor an experience that everyone will be talking about long after game day. 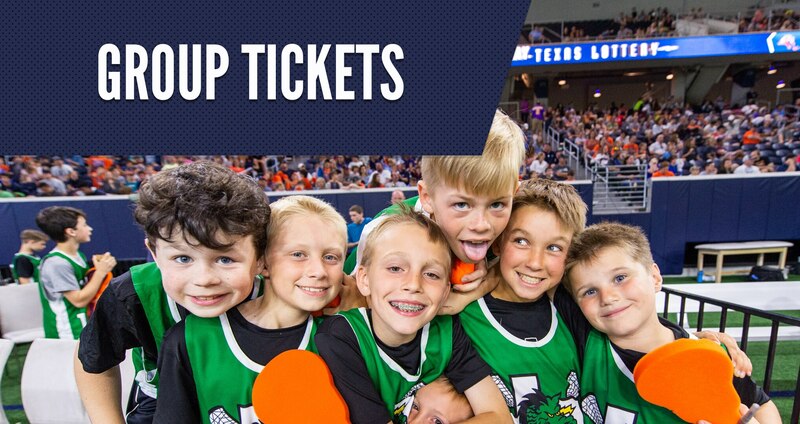 To learn more about all of our ticketing options, give us a call at (800) 413 - 6109 or fill out the form below and a Dallas Rattlers representative will be in touch shortly.